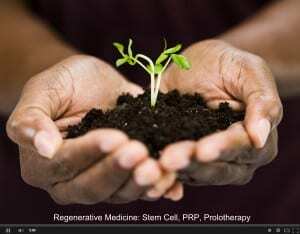 Regenerative Medicine For Fibromyalgia - Piedmont Physical Medicine & Rehabilitation, P.A. Regenerative medicine can play an important role in providing pain relief for fibromyalgia. One reason fibromyalgia patients have complex, chronic pain is weak ligaments. Ligaments are like thick packaging tape that holds bone to bone. Just like tape they can become stretched, strained, or torn. 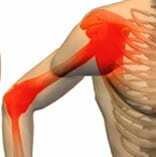 When that happens the muscles have to over work as they try to do the work that the ligaments were doing. This causes more pain, tightness, and tension. Many fibromyalgia patients have weak ligaments due to underlying inflammation, hidden infection, or genetic predisposition. For example while someone may not be double jointed they may just be loose. 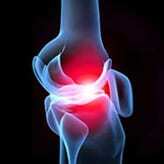 If you genetically are loose ligament that can lead to multiple aches and pains not confined to one area. If it is widespread doctors may call it fibromyalgia. Fortunately there are regenerative treatment options that work to reduce pain, strengthen ligament, and improve quality of life. A few of these treatments are called Prolotherapy, Platelet Rich Plasma (PRP), and Stem Cell. Prolotherapy consists of an injection of natural substances that encourage your tissues to “proliferate” or regrow. PRP refers to an injection of growth factors from your own blood to create concentrated healing, and stem cell includes grafting of cells that have not yet differentiated (turned into what they will eventually be) so as to create new tissue. Naturally there are other options for the treatment of fibromyalgia as well but being able to use regenerative medicine techniques can have a real positive impact. Learn more about treatment options for fibromyalgia at piedmontpmr.com.